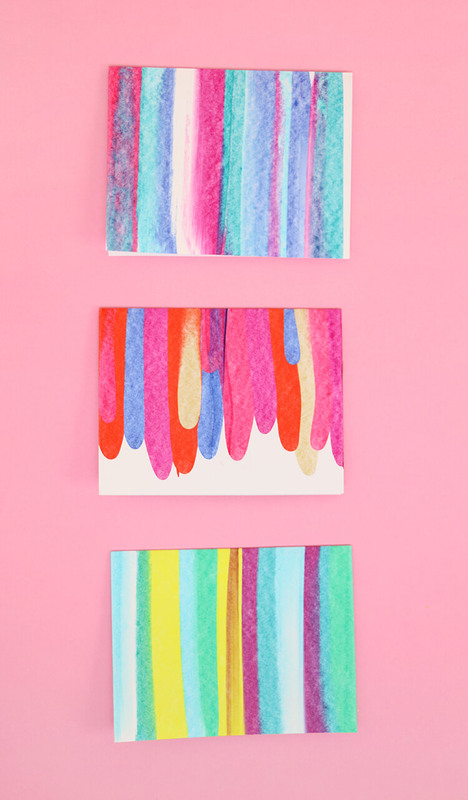 This DIY art project idea is really easy, so much fun, and makes beautifully colored notecards for every occasion. 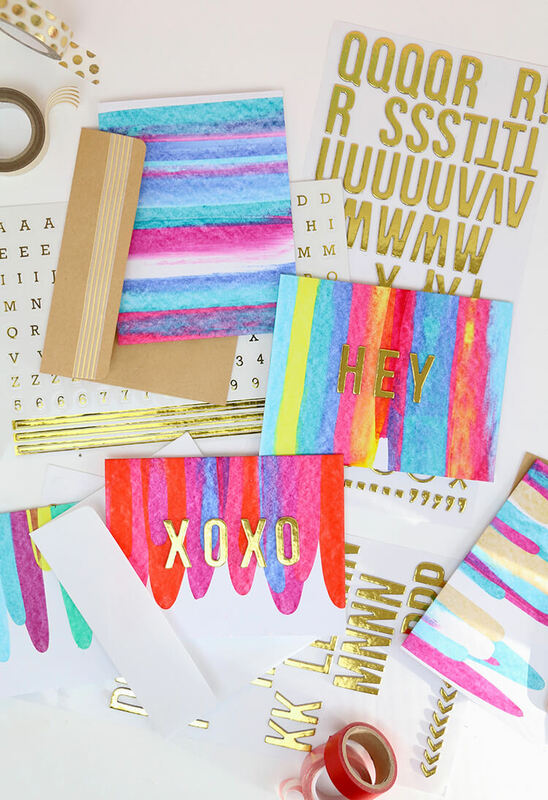 You just need a few simple supplies you may already have at home to create these fun cards. Let’s make some! A big thanks to The Clorox Company for sponsoring this post. This post also contains affiliate links, which help to support this site. 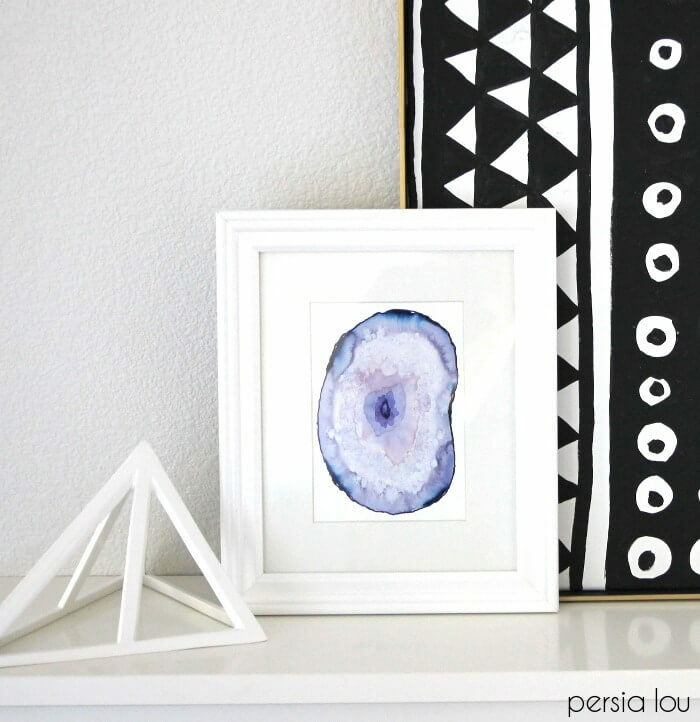 I am really excited to share today’s DIY art project idea with you all! This technique is something I have been wanting to play around with for a while, and I am really happy with how my little notecards turned out. And I thought you guys would really enjoy making some for yourself, so I’m sharing the (few) simple steps with you all today. 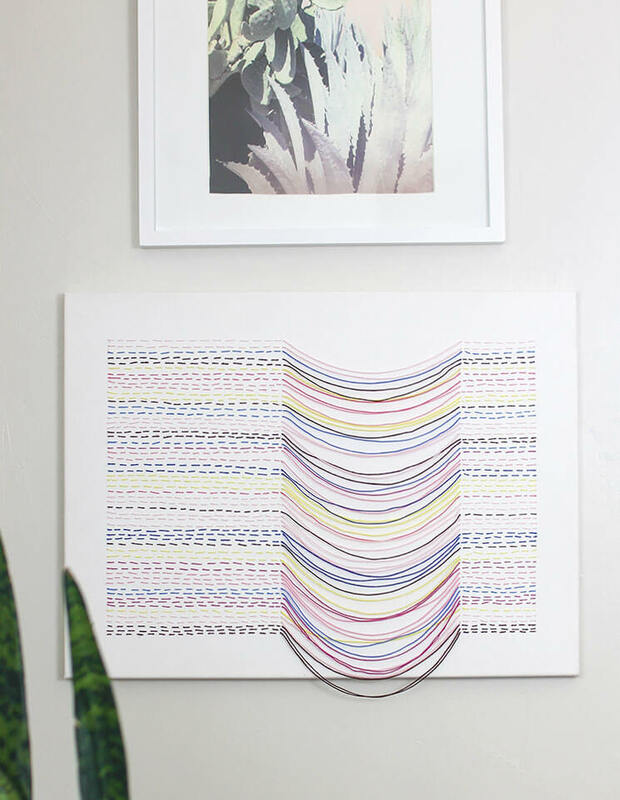 This is one of those DIY art project ideas where the process is just as good as the finished project. It is just so much fun! Each piece you do will be completely different and unique. 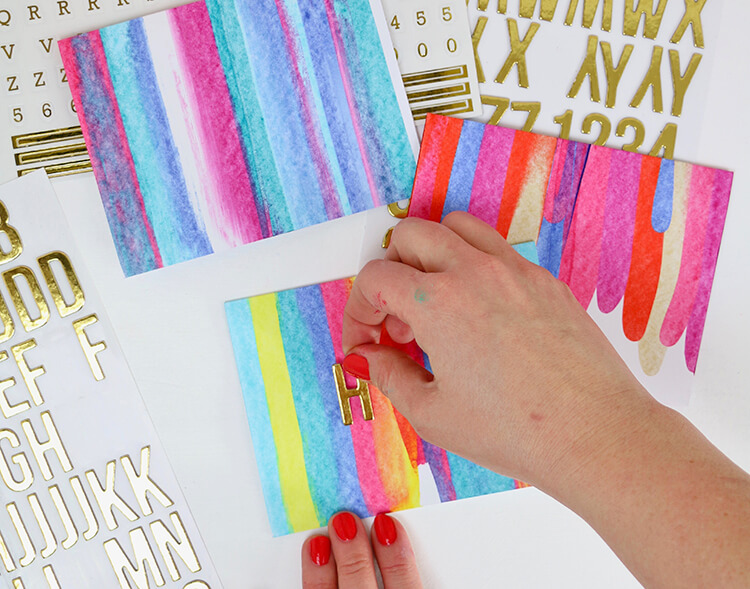 Make sure you have plenty of paper and paint on hand because you are going to want to try it out again and again. You are also going to want to make sure you have some good cleaner on hand because this. project. is. MESSY. Okay, ready? Let’s make a mess! 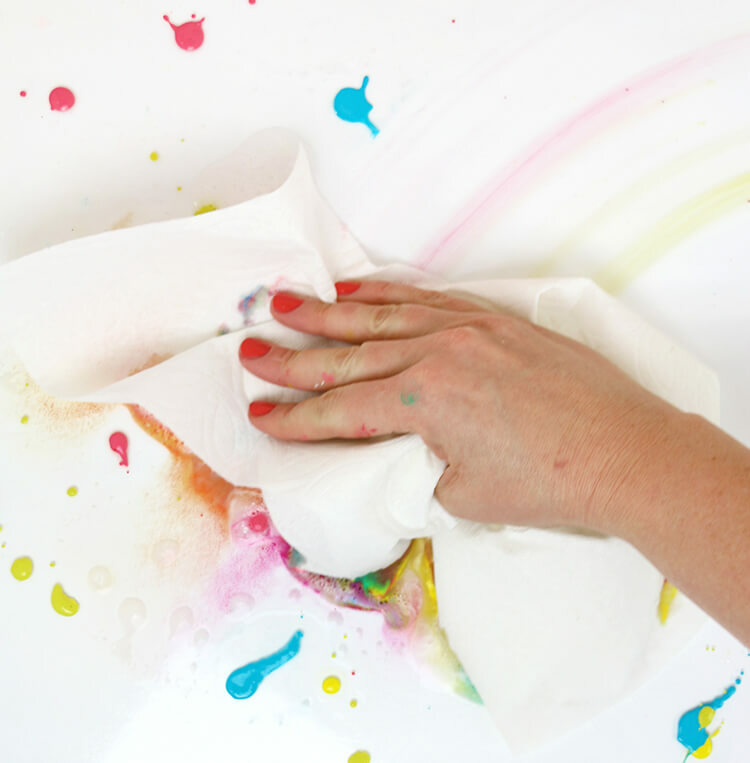 Paper Towel and Cleaner or Wipes – you will be making a mess! Start by taping your paper down to your work surface. Since I was making notecards, I had my paper cut to 8.5″ x 5.5″. Your work surface will be getting paint on it, so please don’t do it on your expensive marble countertops or your heirloom chest. Have cleaner on hand to clean up quickly after each piece. I used Clorox Scentiva, which worked great and smells amazing. 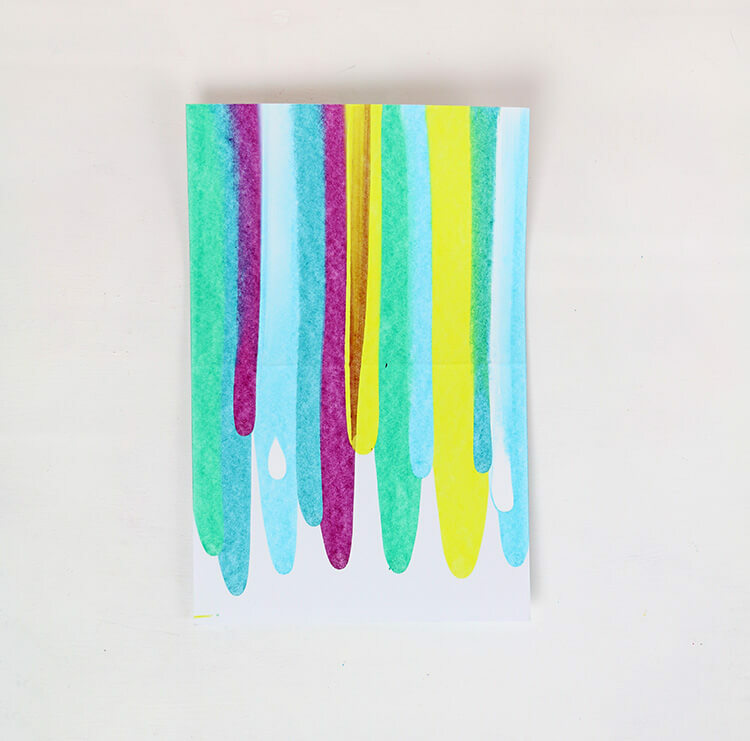 Drip drops of paint along one side of your paper. Stagger the drops and vary the colors. Have fun experimenting with drop placements and color combinations. Place an old credit card or gift card above the drops on one side of the card and scrape down pulling the card off the edge of the paper on the other side. 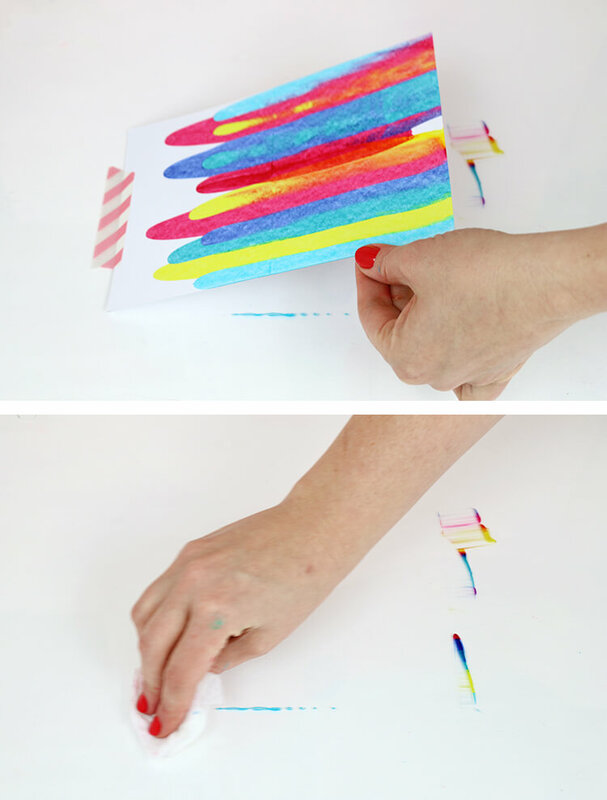 Wipe off the card and remove all the paint before moving to the other side. 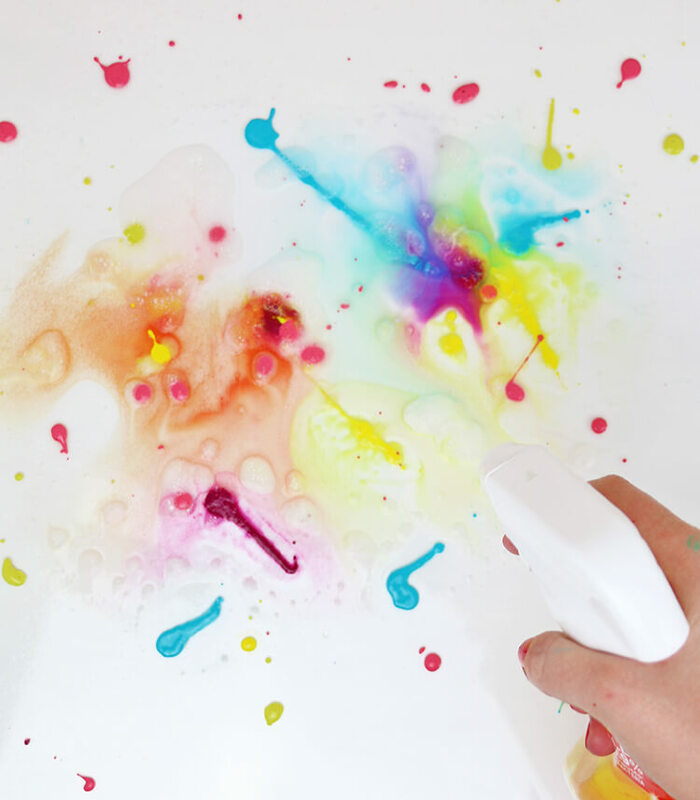 This will keep both sides looking the same and keep your colors from mixing too much. Repeat step 3, scraping the paint down off the edge of the paper again. 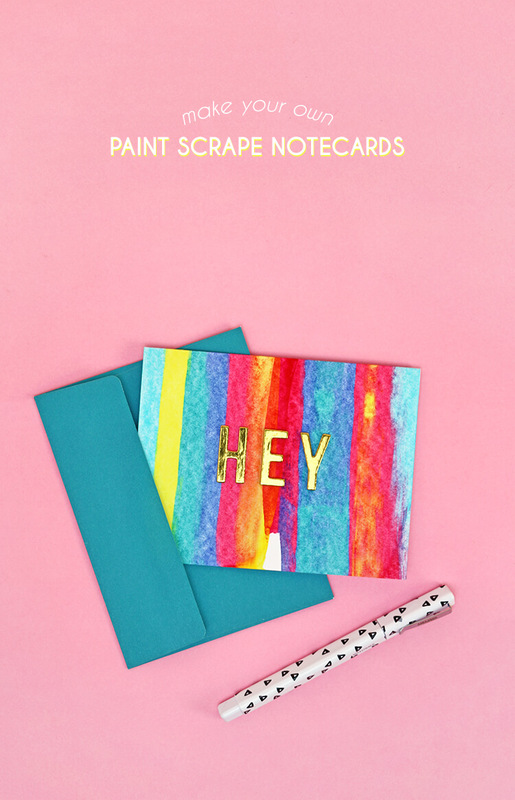 Finally, peel up your piece from the work surface and wipe away any paint that went off the edge of the card. 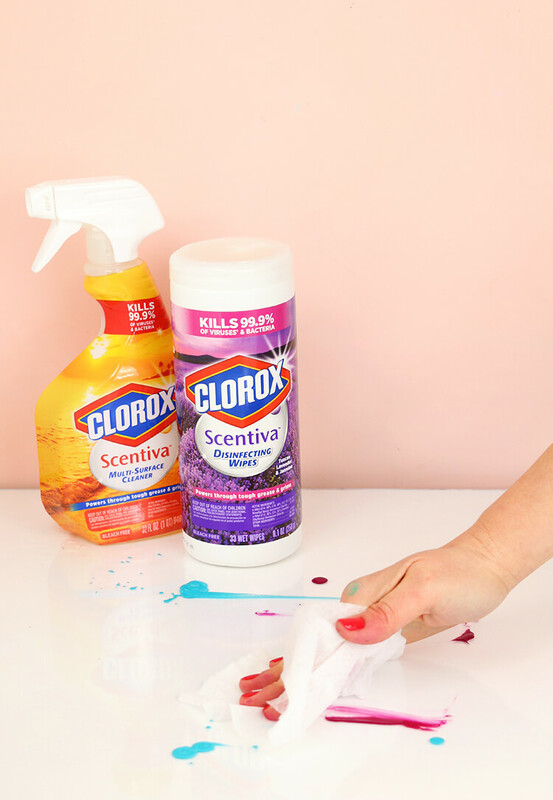 I used Clorox Scentiva to help me clean up my mess, and I love how it combines a powerful clean with a great scent! Just like other Clorox products, it cleans and disinfects (kills 99.9% of bacteria and viruses), but it also leaves your home smelling wonderfully. It comes in two scents – Tuscan Lavender and Jasmine & Hawaiian Sunshine – but I am pretty partial to the Hawaiian Sunshine scent. It’s such a bright, happy scent! All that’s left to do is fold them in half and add a greeting to the front (if you like). 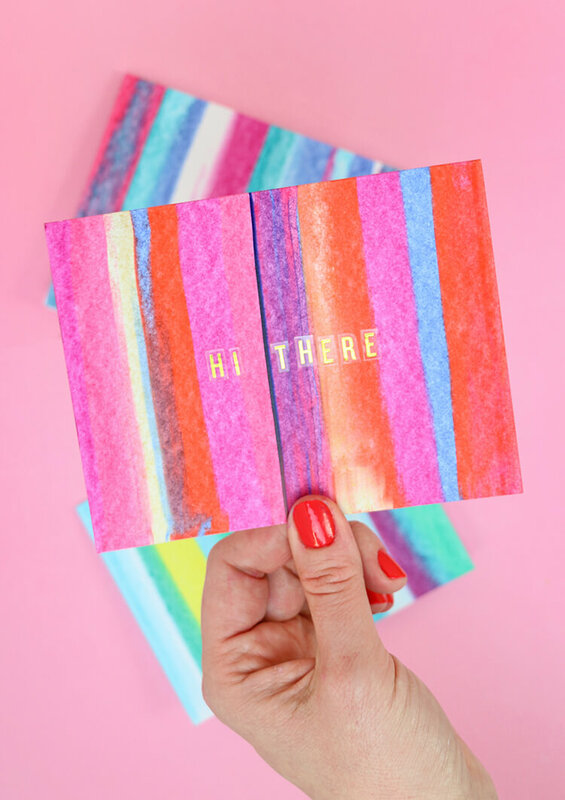 To get a perfect fold in your cards, I recommend scoring them first using a straight edge and a bone folder or embossing tool (or I have even been know to use a knitting needle in a pinch). 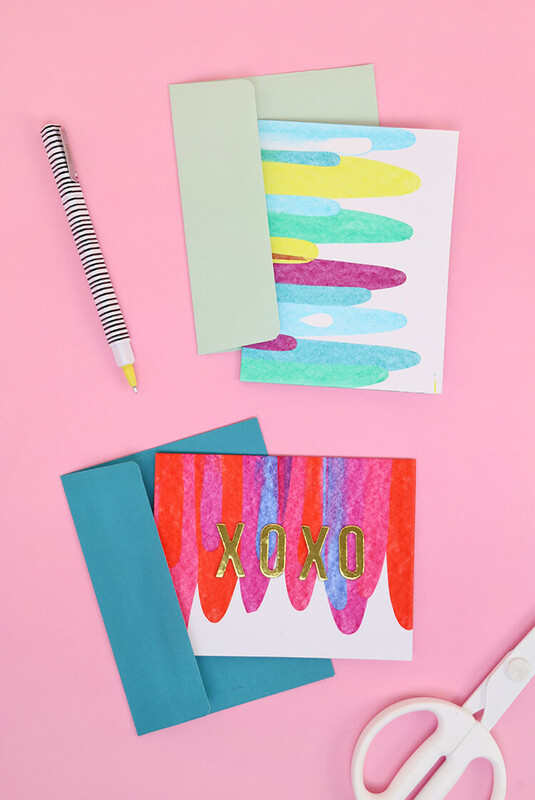 When your cards are folded, you can call them done if you like a simple abstract look, or you can add greetings to the front with letter stickers. I used a variety of metallic gold stickers for my cards. I really like the way that both sides of these cards look, so I used both as the fronts of my cards. 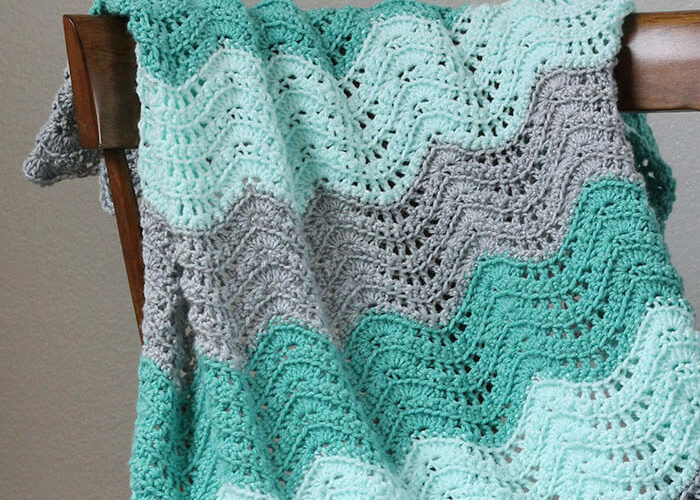 One side has a more fully covered, watercolor style, while the other has a pretty scalloped look. I think they are both pretty great. 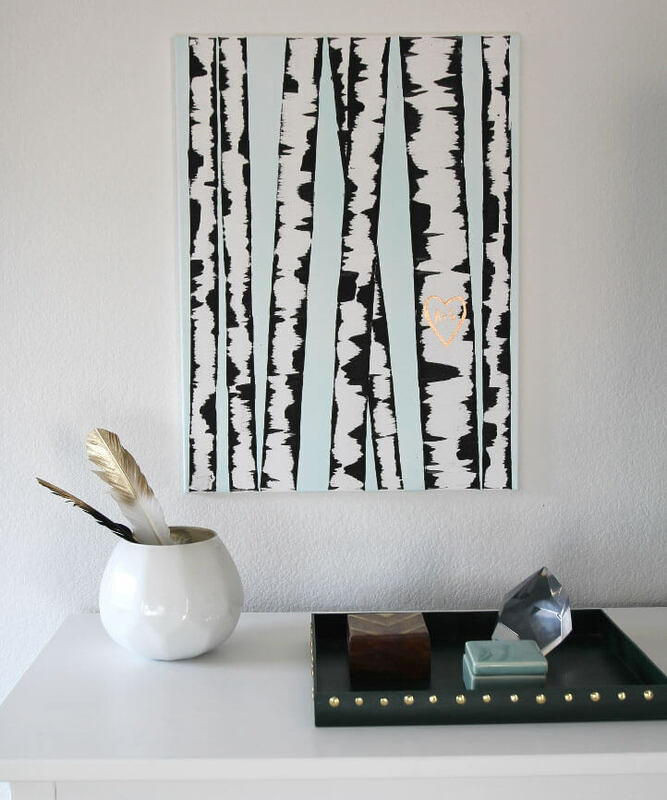 I hope you all like this DIY art project idea and will give it a try! I had so much fun with it, and I think it creates such pretty pieces. 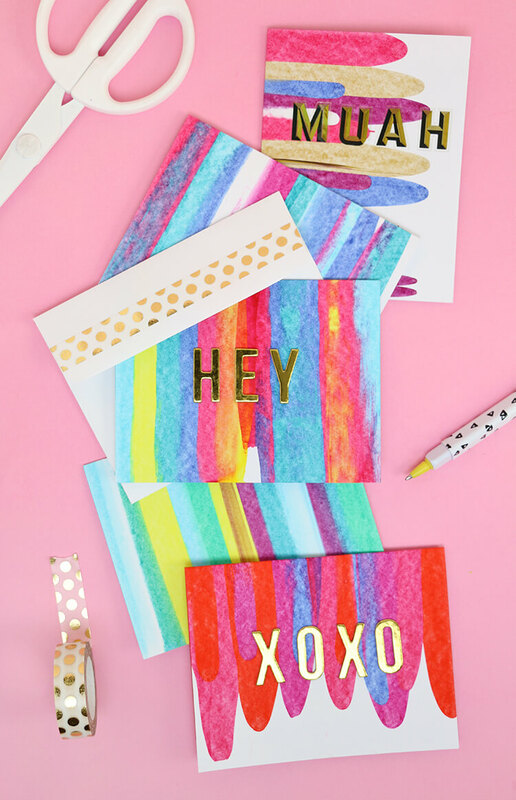 These would look great framed too, so don’t feel limited to notecards! These cards are incredible! The colors are so vibrant. Pinning for sure. 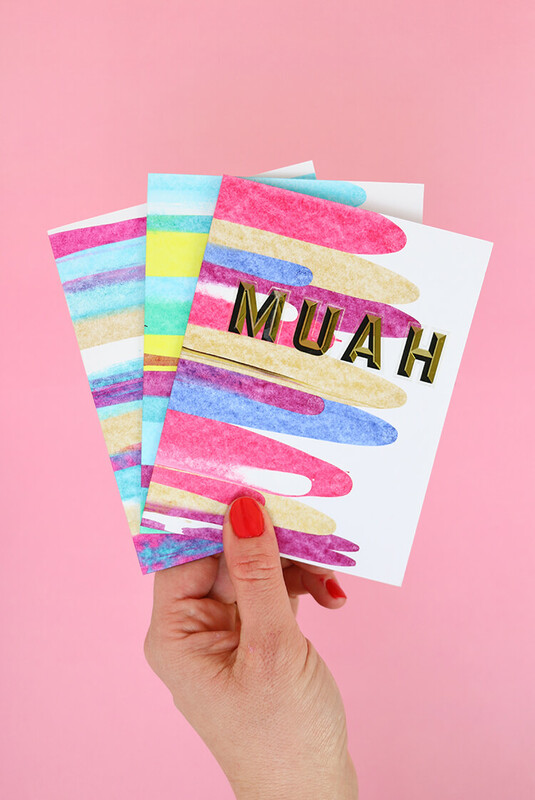 These are such brilliant cards. They are gorgeous! I’m going to try this for sure. Hi is there a video for this tutorial by any chance? Thanks! I don’t have one yet, but I will add it to my list! Thank you so much for sharing this. My sister lives in an independent old age home and she gives craft classes to the dearest people and always looking for something different to do for them. I am sure they will enjoy this. Oh that sounds like a perfect fit. I hope they love it! This is soooo cute. Absolutely makes me wanna feel young again. 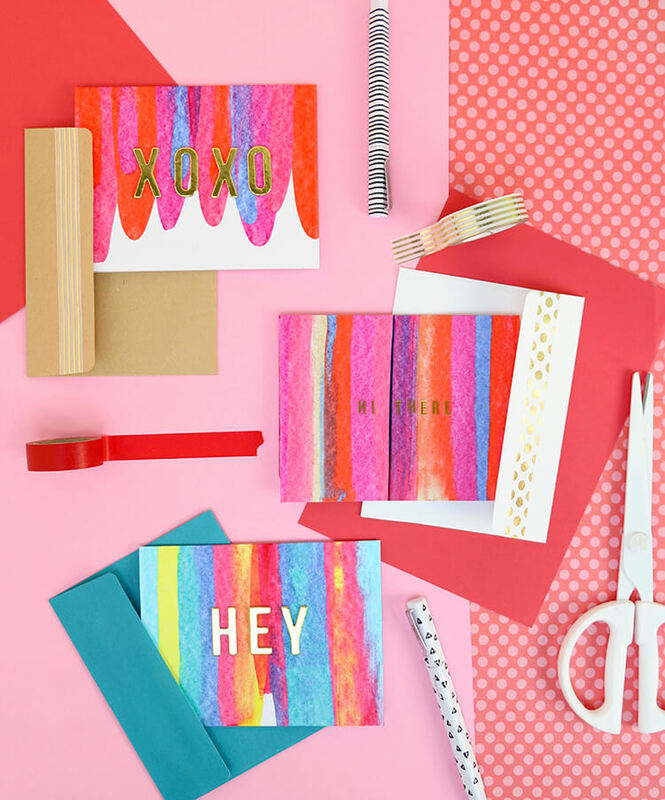 Love colorful designs. Thanks for sharing. These look amazing! Have to try this! I was wondering what program or website you used to make this website I have been wanting to create one and I love yours! Hi Evan! I use wordpress for my site. Good luck! I love this!!! Definitely going to give it a try! How well do you think it would work on wood or canvas?